Furfural is a multifunctional green chemical and a precursor for many furan-based chemicals. The drawbacks of the current furfural production on industrial scale are the processes with low yields, and the corrosive and non-environmental catalysts are being used in the processes. Here, the one pot catalytic conversion of xylose, xylan, and straw biomass (i.e., wheat straw, triticale straw and flax shives) to furfural was investigated in the only single-phase aqueous system using various solid catalysts and metal halides under microwave irradiation. Four different solid catalysts (i.e., Amberlyst®-15 dry, Amberlyst®-36, Nafion®-NR50, and DOWEX 50WX8-200) were tested at selected ranges of temperatures (120–180 °C). Catalytic performance of 14 metal halides (i.e., FeCl3, LaCl3, CrCl3, AlCl3, NiCl2, MnCl2, MgCl2, CaCl2, LiCl, NaCl, KCl, LiBr, LiI, and NaBr) was evaluated at 180 °C. A substrate:liquid ratio of 1:15, a catalyst loading of 10% (w/w), a residence time of 20 min were employed as the fixed microwave process conditions. The Amberlyst-36 wet was the most efficient heterogeneous catalyst for the conversion of xylose at 180 °C, which resulted in a furfural yield of 25.34%. However, for the conversion of xylan under same reaction conditions, only ~ 1% furfural yield was observed. Among metal halides, FeCl3 was the best catalyst for the microwave-assisted hydrothermal conversion of wheat straw, triticale straw and flax shives to furfural with yields of 35.3, 41.6, and 65.3%, respectively. 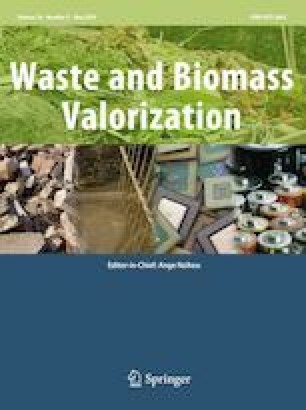 Microwave-assisted hydrothermal treatment in the presence of FeCl3 can be applied for both the saccharification of straw biomass and production of furfural from straw biomass. The online version of this article ( https://doi.org/10.1007/s12649-017-0144-2) contains supplementary material, which is available to authorized users. The technical aid of Lana Fukumoto and David Godfrey is gratefully acknowledged. The authors would also like to thank the anonymous reviewers for their constructive criticisms and suggestions. Oktay Yemis thanks the Scientific and Technological and Research Council of Turkey (TUBITAK) for the scholarship (BIDEB-2219, Postdoctoral Research Scholarship).